After over two years of silence, Python-RSA 4.0 has been released! There are many improvements and also backward-incompatible changes (hence the increase of the major version number). Get it while it's hot at the Python Package Index, or just install with pip install --upgrade rsa. BConf 2016 was awesome, as ever. This is just a blog post to share the slides of my workshop "Develop add-ons like a pro". Python-RSA 3.4 has been released! This is the first release from GitHub, and contains a lot of improvements by myself, Michael Manganiello, and Filippo Valsorda, including the solution for a side-channel vulnerability. Click here for more details and a plan for the future. You won't notice it, but you're now on my new website. The look is still the same, but under the hood a lot has changed. This includes the blog being fixed again, so that I can actually write new posts! Can you imagine, I didn't blog a single thing in 2015.... well, that'll change. Python-RSA 3.3 has been released! This release fixes a security leak, which was filed under CVE-2016-1494. As always, you can get the new version from the Python Package Index. Python FlickrAPI library version 2.0 has been released, and can be downloaded from the Python Package Index with more info at my FlickrAPI page. 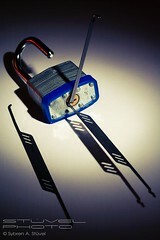 The major change is that the "new" OAuth-based authentication is used. This makes our Python FlickrAPI library a lot more future-proof. Thanks to Jim Easterbrook, Thai Nguyen, Nick Loadholtes and Bengt for their contributions. 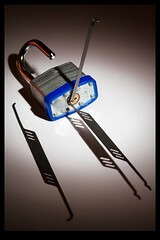 My favourite password management tool, pwsafe, is getting old. It's no longer part of Ubuntu and I've had to compile it myself for quite a while now. It's also not supported on Android, and shows other signs of aging. So, I moved to KeePass. Exporting my database to CSV was simple, and to make the job of importing it correctly into KeePass even easier, I wrote a simple Python script. Changed default API URL to use HTTPS (Joseph Hui). PEP 8 compliance (Luar Roji). In the mean time, we have made more progress on the upcoming version 2.0. We can always use more bug testers, bug fixers and documentation writers; check out https://bitbucket.org/sybren/flickrapi/ to get involved! Blender lets you script more or less everything. You can have your code inside Blender (and the .blend file) itself, but I prefer to store it outside the .blend file. This makes it easier to handle changes, and allows you to use any editor you want. The downside is that reloading your code becomes a bit of a hassle. This is a little snippet I wrote to reload my code in Blender with the click of a button. For my research, I'm using Blender to generate images. I wanted to know how visible a certain object is in the final render (i.e. how many pixels it occupies). For this there is the "object index" render pass (aka "IndexOB" in the compositor). I've been struggling with it, since it always outputs that the index is 0, even though there are multiple objects in the scene. Well, with the help of mfoxdogg on the #blender IRC channel, we found a solution: You need to set the index by hand, for every object you're interested in. If you go to the object properties (in the properties explorer), in the section "Relations" there is a slider "Pass Index". This is set to 0 by default, and you can set it to any positive number you want. This is then reflected in the output of the "IndexOB" render pass. Dropped support for Python 2.5. First updated Distribute (thanks Jason R. Coombs), later replaced Distribute with Setuptools. Last weekend Amsterdam was visited by a great group of over 250 Blender professionals and enthousiast, for the Blender Conference 2013. This year it was my pleasure to give a workshop about my research, and how I use Blender to visualize my result. You can still see the workshop online on Youtube: https://www.youtube.com/watch?v=Wt8WdSvaRms&feature=player_detailpage#t=620 (the first 10 minutes is just people leaving the previous workshop, and me setting up). The Android XBMC Remote app has a "Power on" button. This button sends a wake-on-lan (WOL) packet to the XBMC server, so that it can wake up. However, my XBMC server runs all kinds of server stuff, so I don't want to let it sleep. Still, XBMC uses more than 10% CPU power even when it's in idle, so I don't want it running all the time either. I've written a small Python script that executes a command every time it receives a WOL packet. This is then used to start XBMC. Python-RSA version 3.1.1 has been released. A lot of things have been improved, thanks to Yesudeep Mangalapilly. Check the Python-RSA page for more information! Observant readers may have noticed that I snuck in a tiny minor release. Version 3.1.1 introduces full Python 3.2 compatibility for the key saving/loading stuff as well, and fixes some doctests for Python 2.7. Nothing in the actual RSA stuff was changed. This summer Flickr will stop supporting their old authentication system and move fully to OAuth. I've gotten several questions about whether Python FlickrAPI will support that. No worries, it will. If you want it fast, clone the repository, implement OAuth (don't forget the unittests) and send me a pull request. Update: in the mean time 3.0.1 has been released, which removes an import of the "abc" module. This should make the code compatible with Python 2.5 again. All the documentation (including installation instructions) are the same as before. I'm thrilled to let you know that I've just added encryption and decryption with random padding to my Python RSA module. The code has become much more secure than it was before, and also makes it capable of encrypting and decrypting binary data! This is a big step towards the practicality of the implementation. I've implemented the padding according to the PKCS#1 standard. The RSA Algorithm page by DI Management explains how to do this very clearly; cudos to them! Right now these changes are unreleased. I want to add signing and verifying signatures too before I do that. Maybe I'll deprecate the existing functions, as they are much less secure than all the new stuff I'm adding. If you want to try out what I've changed so far, feel free to grab a copy off my Mercurial repository. UPDATE 2011-07-12: the implementation is compatible with OpenSSL, making it very likely compatible with other implementations of PKCS#1 version 1.5! Back in 2008 I wrote a small post about Python vs. Java. I've revamped it by adding more detail, and tossed in a primer on list comprehensions for free. I hope that once you've read that you're convinced that list comprehensions are a Good Thing. And as an added bonus, I extended my website so that it can do syntax highlighting! At my work I'm communicating with an embedded device via a serial-to-USB cable. It works fine, except for one little detail: when the "Ready To Send" (RTS) pin is high, the device shuts down. This is by design, but annoying nonetheless, since almost all serial communication software sets this pin to high. I've written a little Python program that opens the serial connection, sets the RTS pin to low, and shows all data read from it. You can read the details after the break. A guy named Dave sent me an email today, telling me that my RSA implementation was rather insecure due to the use of the "pickle" Python module. Fortunately I had some nice improvements by Barry Mead already in version control, eagerly waiting to be released. Well, Dave gave me a nice insentive to round up Barry's improvements and send version 2.0 into the world. Please note that it's a backward-incompatible change. The RSA page shows how you can re-encrypt your data to be compatible (and more secure!) again. I'm working on a PyQt 4 application for my employer Chess. Of course I'm writing plenty of unit tests for it as well. Those tests have to be cleanly separated from each other, so every test that requires the entire application to be up and running should have its own instance. And this is where it gets tricky, as Qt (and thus PyQt) assumes that there will only be one application, and if that application quits the process quits. In my unit tests, this is not the case. Every test can potentially start and stop an application, and the test suite will continue running. This caused a segmentation fault (a.k.a. segfault) the second time the QApplication closed. After a lot of puzzling I found out that QtGui.qApp needs to refer to the running QApplication instance, and be set to None when the application has been closed. After I implemented this the segfaults went away. Using auth_callback=False when authentication is actually required now raises a FlickrError exception. The implementation uses self.flickr_host so that subclasses can override the API URLs. Support for short URLs was added. Of course the Python FlickrAPI kit is completely dynamic, and so it always supports any new FlickrAPI functionality as soon as it is released by the Flickr team. Added functions to easily walk through sets and search results, querying Flickr no more than needed. Uses the hashlib module, falling back to the md5 module when hashlib is unavailable. Removed the deprecated fail_on_error parameter. Go to the Python Flickr API. To sync my mail between computers I use offlineimap on a secure filesystem. Today I mistakenly ran offlineimap before mounting the secure filesystem, which caused it to duplicate all emails. Not wanting to do any manual work to fix this, I wrote a small Python 3 program that repaired the damage. Read on after the break for the code. Display timing info after rendering. Added -E option to skip existing frames and render only the missing ones. Verifies that the output directory exists before rendering. Added 'cachesync' executable that can distribute the Blender cache directory (such as used with particle systems) to nodes. Removed use of the md5 module when using Python 2.6 or newer. Replaced the popen2 module with the subprocess module. This limits the compatibility of Multiblend to Python 2.4 or newer on the master node. Split the implementation into several modules to increase maintainability and insulation of the parts. Multiblend connects to multiple computers on your network, and lets Blender render in parallel on each. This will drastically improve your rendering speeds! A new version of my pure-Python RSA implementation has been released. The one major change is improved compatibility with Windows. Download EGG files for Python 2.4, Python 2.5 or the source package at the Python Package index. Added ElementTree support for Python 2.4. Made ElementTree the default response parser. The upload and replace methods now take a format parameter. Upload and replace methods no longer report progress on their callback regarding the HTTP headers. If you then run the program (using python fallout.py if you saved the script as fallout.py) it will tell you to try "carpeted" or "messages" as your next guess. The script requires Python, which is installed by default on most Linux and MacOS systems and should be manually installed on Windows. update: I have automated the hacking so you can easily use this website to make the sometimes difficult hacking a lot easier. Perhaps,. people will some day start to understand that statically typed languages are not a guarantee of a bug-free application. In the end, it's more important that a language does what it is supposed to do. By popular demand, we've re-licensed our pure-Python RSA module under the European Union Public Licence (EUPL). This new licence is the first open source license to be released by an international governing body. RSA version 1.2 is code-wise the same as the previous version - the only difference is the new license. It is also still compatible the GPL. Actually, the module is now dual-licensed, under both the GPL and the EUPL. Take your pick, and use which one suits you best. I've updated this article on 2011-06-15. Comments from back in 2008 are referring to the original version (which cut some corners and was a little too short). One of the major reasons my company prefers Java over Python, is Java's static type declarations (and all the benefits that follow). If only Python had that, my life would be so much nicer. Here is an example of code I have to work with, and an example of what the Python equivalent would look like. The background of the code: We have a list of "identifiers" that can identify people who want to use a parking garage. These can be NFC cards, credit cards, and bar codes. We want to filter the list of known identifiers and return only those of type "barcode". You could write that last one on a single line, but for clarity I wrote it like this. I understand that the list comprehension construction may not be instantly recognisable, so I wrote a little explanation after the break.